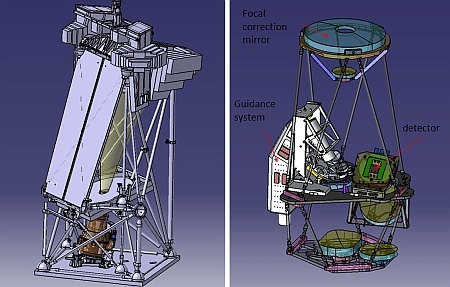 Is an instrument created to detect and map emission from the Intergalactic Medium (IGM) at redshifts between 0.3 and 0.9. As IGM emission is faint and extended, and often much fainter than the foreground diffuse emission it is only detected by an instrument optimized for low surface brightness, widefield emission-line surveys in the presence of time and spatially variable diffuse foregrounds. The FIREBALL experiment is comprised of three major subcomponents: the telescope, the spectrograph, and the gondola. The telescope is a 1 meter diameter f/20 Classical Cassegrain with image quality requirement modest, in the order of 3-4 arcseconds. The secondary mirror mount provides active focus control, fine guiding, and periodic 1-10 arcminute chopping for on/off-source/background measurements by mean of three precision vacuum grade actuators. The incoming light passes through the telescope and first strikes a dichroic beam splitter which sends light of the primary wavelength to the high resolution spectrograph. The balance of the light (visible) goes to a guider system while a calibration lamp injects light into the system via the dichroic backside, with line spectra and flat field illumination using a diffuser. The spectrograph is a fiber fed design, using approximately 400 fibers, each with a 100micron core. The fibers are optimized for UV transmission, ideal for the wavelength range (190nm-210nm) of the experiment. The sky coverage is approximately 2.6 arcmin on a side. This allows for 400 individual spectra to be taken of each point on the sky and then for reconstruction of the 3d structure over X, Y, and redshift. The spectrograph design is based on a holographic reflection grating and a compact single mirror system. A micro-channel plate NUV (similar to that used in the GALEX satellite experiment) is used as detector. 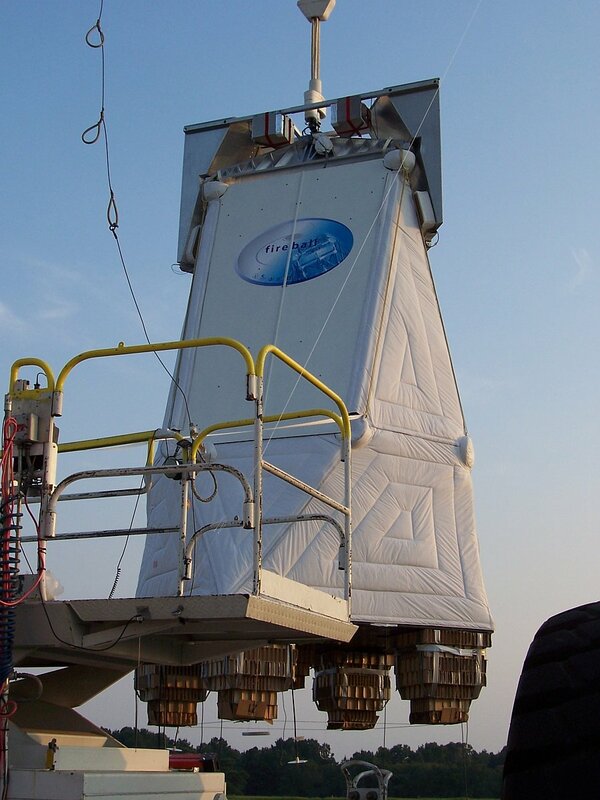 The FIREBALL gondola design is based off the French FOCA experiment -also devoted to UV research- which delivered an inflight pointing jitter of 2 arcseconds rms. The design uses a two-stage tracking concept. 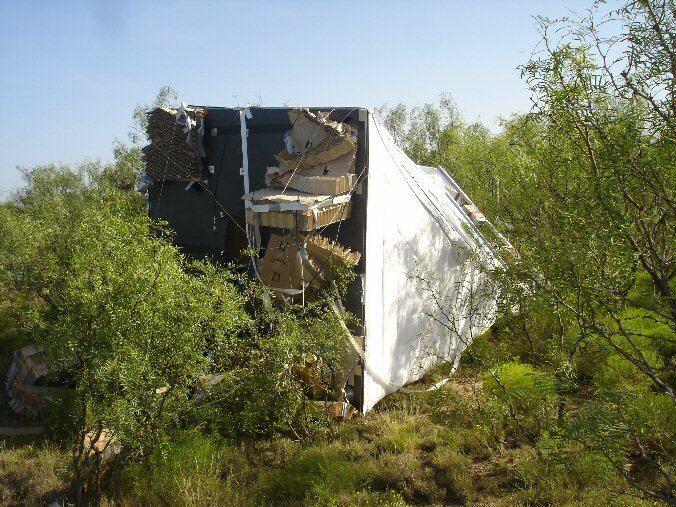 The housing of the gondola is passively and actively damped and is stabilized azimuthally to provide a reference platform for the second stage tracking. In the second stage, the gimbaled telescope actuates with two degrees of freedom, elevation and cross-elevation. The gondola is azimuthally stabilized with a motorized suspension bearing. Gyros on the gondola provide velocity reference and a three-axis magnetometer provides the azimuth angle. The motorized bearing is torque limited and provides a viscous friction that damps torsional oscillations. Pendulum oscillations of the gondola platform are damped by a smaller 30 pound pendulum immersed in oil and mounted onto the gondola. The pendulations are also actively damped with angular momemtum coupled to the gondola. With these active and passive controls, the gondola achieves 2-4 arcminutes stability. The second stage controls the telescope and instrument with elevation and cross-elevation motors. The motor drive signal takes input from two sources. Gyro sensors on the gondola feed forward the rate of large velocity perturbations at the gondola. Final fine corrections to the motor output come from a quadrant star sensor. 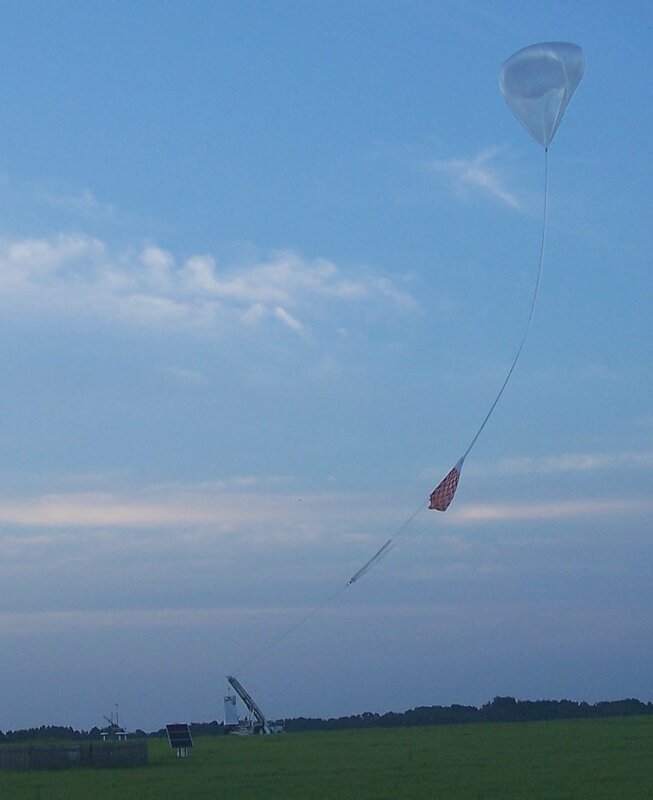 The balloon was successfully launched by dynamic method using launch vehicle on July 23 at 1:16 UTC. After a nominal ascent phase it reached float altitude at 4:00 UTC and lasted in flight in a westward course as can be seen in the map at right (click to enlarge). 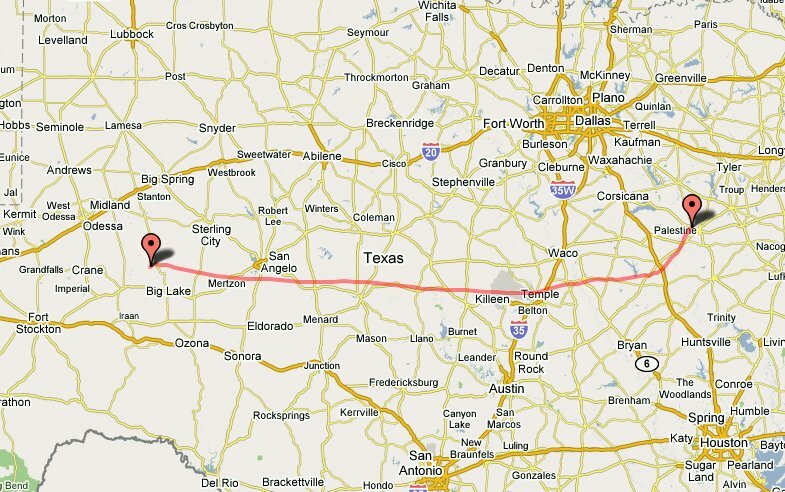 Separation of the payload ocurred at 7:05 UTC and the impacted was approximately 38 miles from Odessa, Texas after a total flight time of 6.5 hours. Payload recovered and returned to Palestine. This was a successful engineering flight. The scientific team was able to get UV light into the spectrograph and calibrate both with an onboard lamp and UV stars. Unfortunately, the pivot in the pointing system failed in flight apparently due to a broken wire. 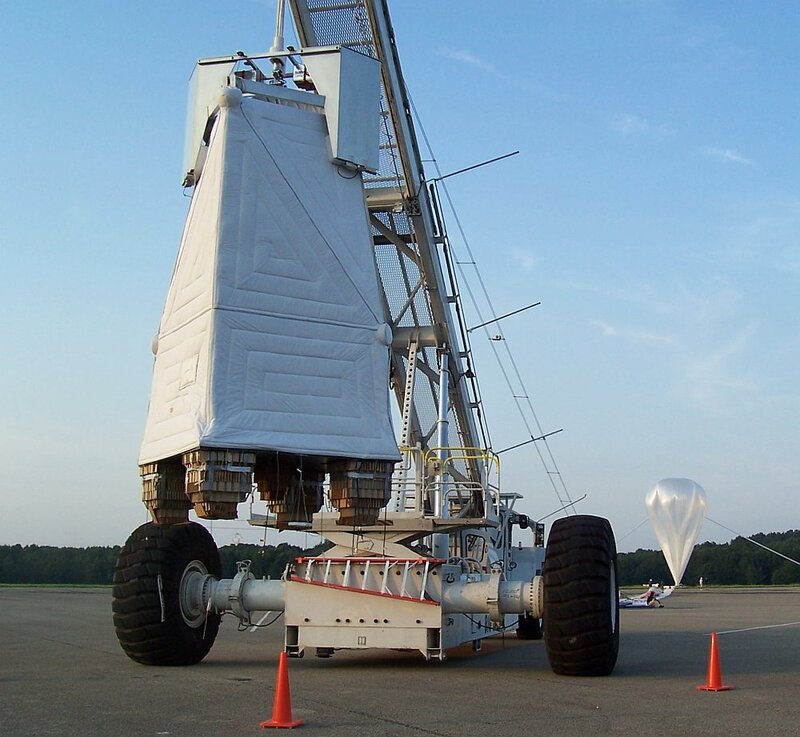 This meant that the ground team was unable to control the pointing of the telescope which spun with the balloon. As the IGM is quite faint and the observational strategy needed at least 2 hours on a single field, no usefull measurements were obtained. 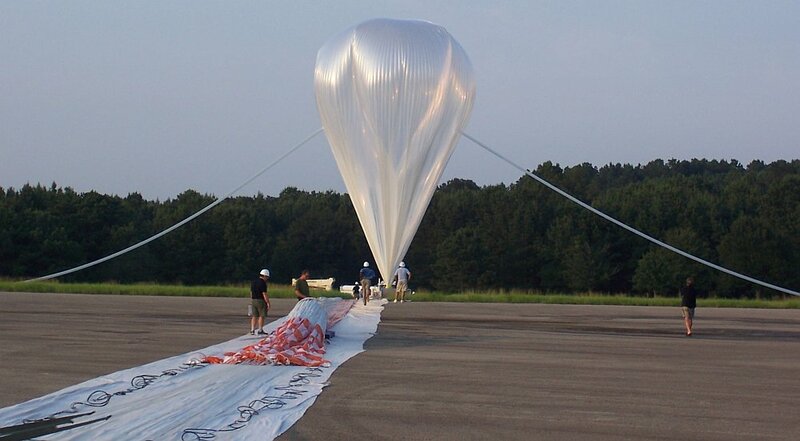 However, the investigators have now a better idea of the UV background at balloon altitude (~125,000ft) so in the next flight they will know more accurately what kind of exposure time they will need to obtain the data they are looking for.